...to the revamped official site of Coached into Silence. We still have some tweaks to make here and there, and the last three years of blog content to move on over, but while you’re here take a look around to learn more about the project and see what we’ve been up to since November of 2009. Thanks for stopping by, and for your interest in Coached into Silence. 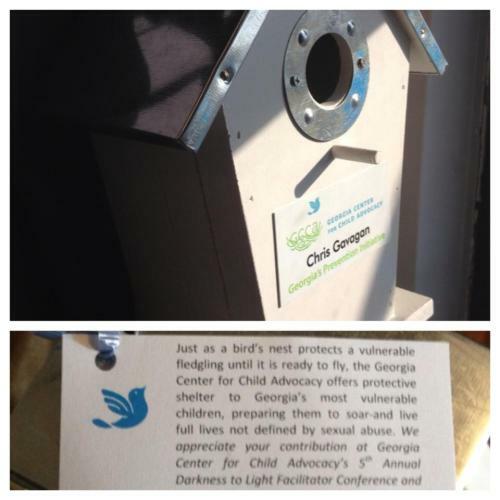 I had just returned to my seat after the too-generous response to my keynote had subsided when I was called back up to be presented with this beautiful birdhouse. Given the opportunity to speak to the most influential decision-makers in amateur sports, with many other leaders from national youth serving organizations in attendance…a captive audience for thirty minutes…what would *you* want to say to them? What would *you* need them to know?